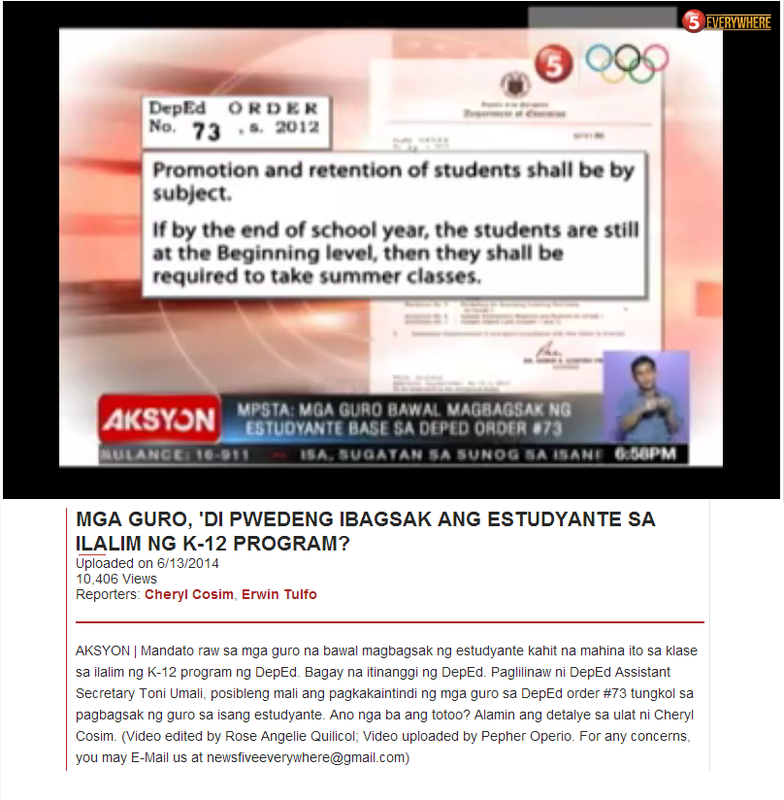 What Do Filipinos Really Think About DepEd's K to 12? "If majority of those who will be in the review are those who support the program from the very beginning, this is a futile task. Involve teachers, students and most especially parents in the review," says Revenendo R. Vargas, founder of the Parents Advocacy for Children Education and an instructor at the Institute of Religion at the University of Santo Tomas in the Philippines, as he comments on a recent announcement made by the Department of Education regarding its plan to review the K-12 curriculum. Well, if you ask the teachers, this is one of their recent calls: "Prevent Depression and Suicide, Liberate Teachers from Clerical Tasks". I can actually relate to this call. During the limited time I have spent with some elementary school teachers in the Philippines, I find that clerical work really consumes the time, attention and energy of school personnel. For instance, I can see the importance of a school working on an action plan (Here is an example from 2006) but from what I have observed, more time and attention is spent, not really on what goes into the plan, but more on the format or presentation of the plan. A lot of resources are indeed wasted on something superficial. 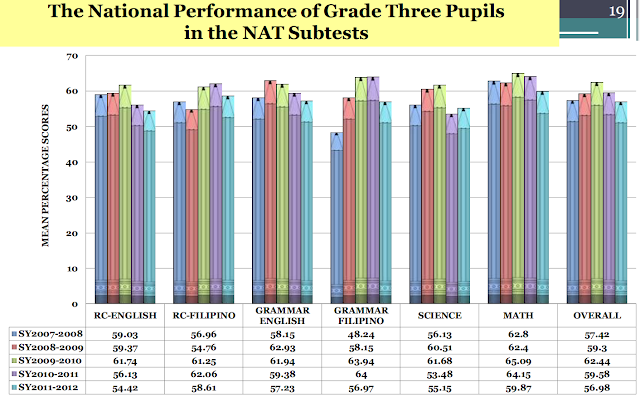 Sadly, the likelihood that the Department of Education in the Philippines would begin listening to the primary stakeholders of basic education is very low. Nonetheless, it is still important to take note of what the majority think about basic education in the Philippines. Regardless of whether the Department cares or not about what the public thinks, the sustainability of its K to 12 curriculum as well as its chances to overcome its implementation challenges very much depend on the support coming from teachers, students and their parents. Mostly expressed their negativity on our Philippine educational system which implies that the following need further attention: hiring of teachers, sufficient allocation and utilization of funds for the procurement of books and resources, and sending the teachers concerned for training. Not much can really be stated in 140 characters, the limit Twitter had in 2017. Still, a negative sentiment does not really need so many characters. The details may be unclear on what is really underneath the negativity but one thing should be unclouded: A majority of Filipinos do not like DepEd's K to 12.